I’m looking forward to taking part in Miscellany50, a celebratory radio festival weekend of short writing and music produced to salute fifty years of Sunday Miscellany, the RTÉ Radio 1 programme. Five concerts at the Project Arts Centre, Dublin, will each capture a decade between 1968 and 2018. 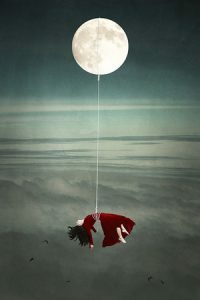 I chose my birth year, 1970, and my essay ‘Mother Moon’ is about the moon and the Apollo 13 mission. Miscellany50’s concerts will be recorded and produced for broadcast on RTÉ Radio 1 in 2019. John Bowman, Mae Leonard, John Boland, Nuala O’Connor, Leo Cullen, Denise Blake, Louis de Paor, Gerald Dawe, Evelyn Conlon, Denis Sexton and Gemma Tipton, Contempo String Quartet, Richie Buckley, Máire Ní Chéilleachair and Jennifer Walshe. More info on the series of concerts here. I’m taking part in this Art of Border Living event Weds 14th November, 7pm, with Paul McVeigh & Garret Carr in Poetry Ireland. 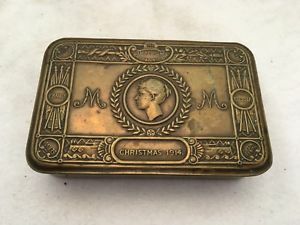 I was commisioned to write a WW1 short story, set in Fermanagh, for it. I called it ‘Tin’. I’m delighted that my short story about Nora Barnacle, ‘Gooseen’, is shortlisted for Short Story of the Year at the An Post Irish Book Awards. You can read all of the stories at writing.ie and vote for your favourite there, or at the #APIBAS site, which also has all the shortlisted books. 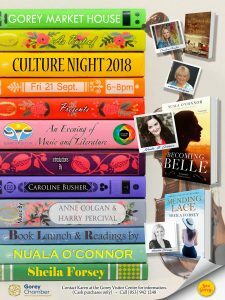 Winners will be announced at the An Post Irish Book Awards Ceremony and Gala Dinner on Tuesday 27th November in the Clayton Hotel, Burlington Road, Dublin. A lovely excuse for a nice frock and a great, fun night with friends in the Irish literary world. Can’t wait! I’m in conversation with Sarah Maria Griffin 7.30pm tomorrow 23rd Oct (Tuesday night) in the beautiful DLR Library in Dun Laoghaire. We’ll talk Becoming Belle and writing in general. All welcome! I’m guest-presenting the Book Show on RTE Radio 1 next Sunday at 7pm. Joining me, to discuss all things historical fiction, are Niamh Boyce to talk about her next novel Her Kind and Paul Lynch to discuss Grace. Andrew Miller joins me on the line from Bath to talk about his new book Now We Shall Be Entirely Free. My house, my writing cabin and my clutter were featured in an article by Sophie Grenham on Saturday in the Home section of the Irish Times. See here. Helena Mulkerns reviews Becoming Belle at writing.ie. In this, the second literary foray into Victorian times for Nuala O’Connor, the author has created a splendid, loveable heroine who brings to life the spirit of an age. In Victorian times, while it may have been rare for women to explore and enjoy independence, when they did, they certainly made their mark. In her previous novel, Miss Emily, Nuala O’Connor took such a Victorian by the hand – the iconic poet Emily Dickenson – and delivered a quirky tale of two women, at both ends of the social scale, the other being an Irish emigrant working as the Dickenson family’s maid. The unexpected plot made for a richly readable tale. 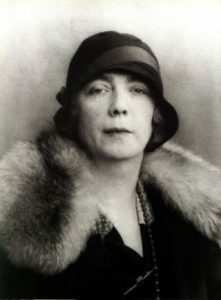 Becoming Belle is inspired by another real woman, the Countess Clancarty of Galway, born Isabel Bilton. She came from a middle class British military family, took to the London stage in 1889 and rose to fame as a Music Hall performer as part of The Sisters Bilton vaudeville act, becoming the toast of London before marrying into the anglo-Irish artistocracy. The fact that book is based on fact adds to its oomph. The great Music Hall doyenne of the day, Vesta Tilley, also married well, but performed until the age of 56 before retiring as a titled lady. Belle, who whirled through just four years of stardom, returned with her young Earl to Galway, had three children and remained as the lady of the manor in Garbally House, Ballinsloe until her early death in 1906. While her star shone briefly, we are lucky that Nuala O’Connor, who lives in Ballinsloe, took up the story. Contemporary fiction has produced a range of extremely raunchy 19th century Music Hall heroines in recent years, from Nan, the picaresque lesbian of Sara Waters’ Tipping The Velvet to Blanche Beunon, the French burlesque dancer of Emma Donoghue’s Frog Music, not to mention Angela Carter’s bombastic Fevvers in Nights At The Circus. The charm of Belle Bilton as interpreted by O’Connor, however, is her accessibility and her personal charm. O’Connor sensibly makes no bones about Belle’s primary ambition (that of any young Victorian woman), to find love with an ideally handsome man who will provide for her. But she also adores to dance. In 1887 the London Music Halls drew young hopefuls as Hollywood would a century later. Thus, with a lucky contact in her purse and the blessing of an extremely accommodating Papa, Isabel sets off to join the theatre. As we join her along the way, we are drenched in Victoriana and the old theatre world: the great Empire, the Drury Lane, the notorious Corinthian Club, the glamorous Café Royale. Young Lords take rooms at the Burlington Hotel. She is photographed by the legendary theatre portraitist Alexander Bassano, and her sepia image reproduced on “cabinet cards” which were the fans collectors’ items of the day. The public read of her exploits in The Pall Mall Gazette. Isabel determines to succeed as a performer and have as much fun as possible while doing so. Despite significant odds, she succeeds and moreover delights the reader as she does so. There are dandies, cads and an adorable gay man who becomes Belle’s best friend. There’s lashings of gin. With the sisters Bilton, it’s rehearse, work, party all night and sleep a good part of the day. With yet more lashings of gin. 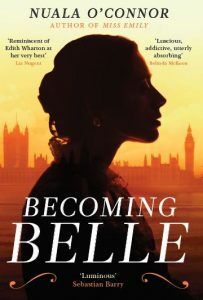 Yet as opposed to sinking into degradation in the underbelly of Victorian society, Belle is a heroine that works the system and keeps her head above water. Her one fall – when she is preyed upon by a certain “Baron” Loando – occurs as a result of her unmistakable gullibility but is faced bravely, and with the help of her dear friend Wertheimer, she picks up and moves on. The main thrust of the story follows Belle’s meeting and falling in love with William Le Poer Trench, the Fifth Earl of Clancarty. As one might imagine, the course of true love does not run smooth in 1889 when a nobleman marries a “peasant” as the Earl’s father dubs Belle. Since William, like most wealthy young men of his day, is deep in debt, his father blackmails him, forces him to part from Belle and there follows a gripping court room drama where Belle and her husband are put through the mill by the old Earl and the powers that be. To tell you any more than that would be a spoiler. Historical literary fiction can, as Bette Davis might put it, be a bumpy ride. But here the author blends the facts with a thoroughly acceptable level of embellishment. She finds the joy and passion of one young woman, imbues it with pitch-perfect Victorian turn of phrase and ambience and delivers a cracking story. 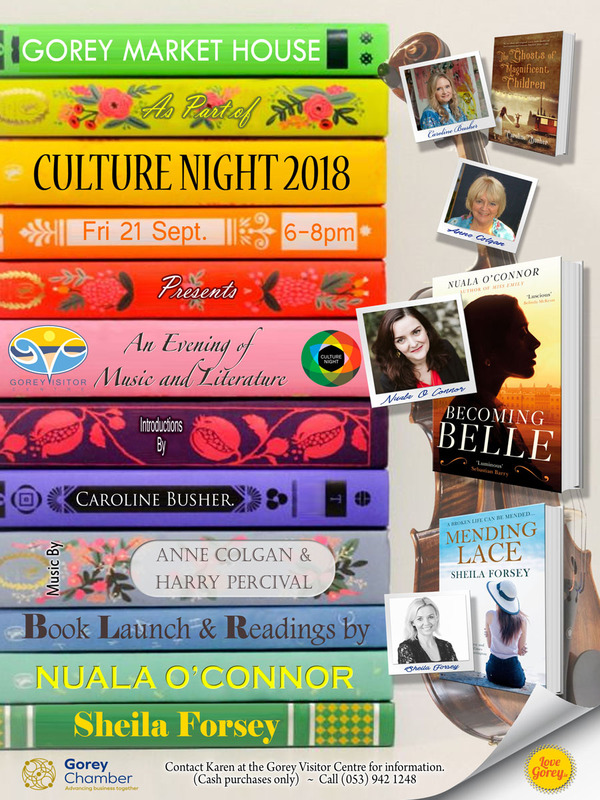 The skilled combination of fact and fiction is what allows the imaginative author to shine, and in this, her ninth book, Nuala O’Connor truly shines.